I got my wish: the mercury has plummeted! The first frosts of the year (in these parts anyway) coincided with Stir Up Sunday, which feels fitting. We can let autumn go now and go headlong into winter, with proper open fires, hearty cooking and the legitimate excuse to pack up work at 4pm as it’s dark outside and it’s surely what nature intends. 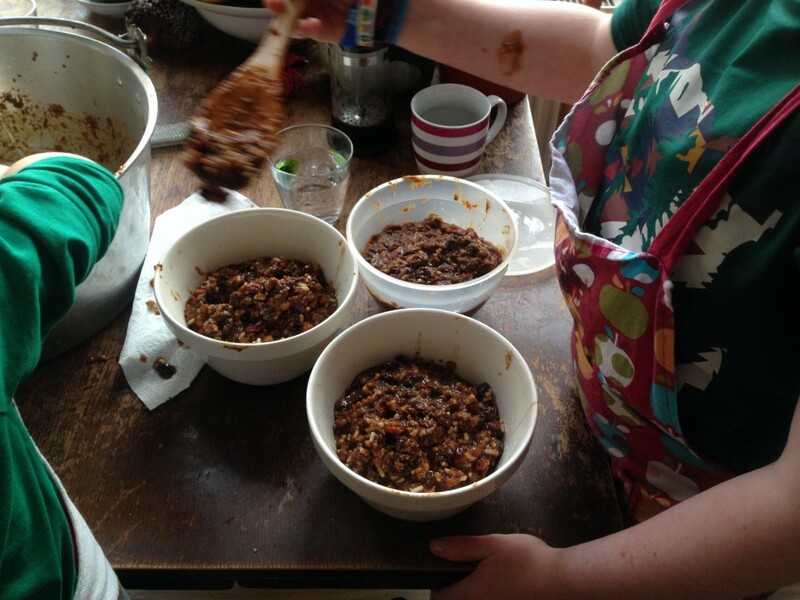 Stir Up Sunday, of course, is the day that we’re meant to make our Christmas puddings and cakes, so that they can sit for a month for the flavours to develop before the big day. It may be an old tradition but it’s a worthwhile one – who wants a bland Christmas pud? 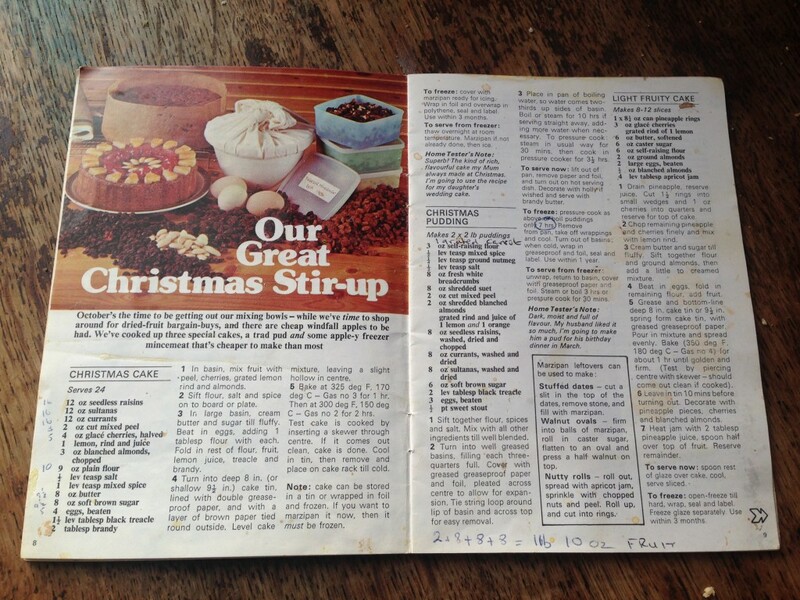 The Stallard family Christmas pudding recipe comes from this gem of a pamphlet, published by Home & Freezer digest in 1977 and edited by one Mary Berry. 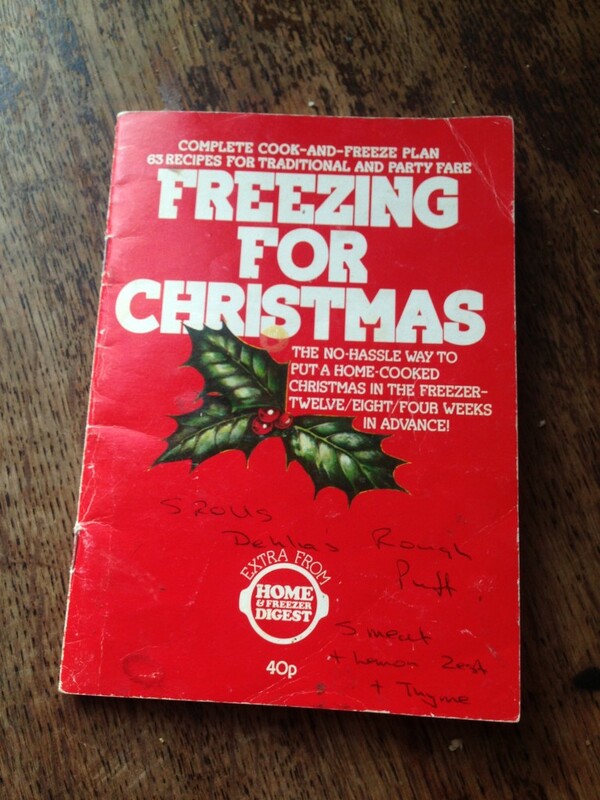 People in the 1970s were in love with their freezers, hence the book is full of mad instructions for things like pre-made fruit salad, frozen until Christmas. According to Mary, by the end of October we should have filled the freezer with brandy butter, mincemeat, turkey, breadcrumbs, red cabbage and gingerbread cookies. Obviously I LOVE this. A really good recipe book is actually a social history document. This book, like so many of this time, was written for the new breed of women who went out to work but were still expected to do all the chores – hence the need to “get ahead for Christmas”. The tasting notes include an enthusiastic comment from one woman that “My husband liked it so much, I’m going to make him a pud for his birthday dinner in March”. I don’t think it crossed hubby’s mind to don an apron and help his wife with the stirring. A classic is a classic, and Mary Berry’s christmas pudding recipe is up there. Except….I do indulge in a bit of updating. The 1970s recipe uses sweet stout as its booze element, which I used to use, but I find the bitter notes of the beer off-putting. 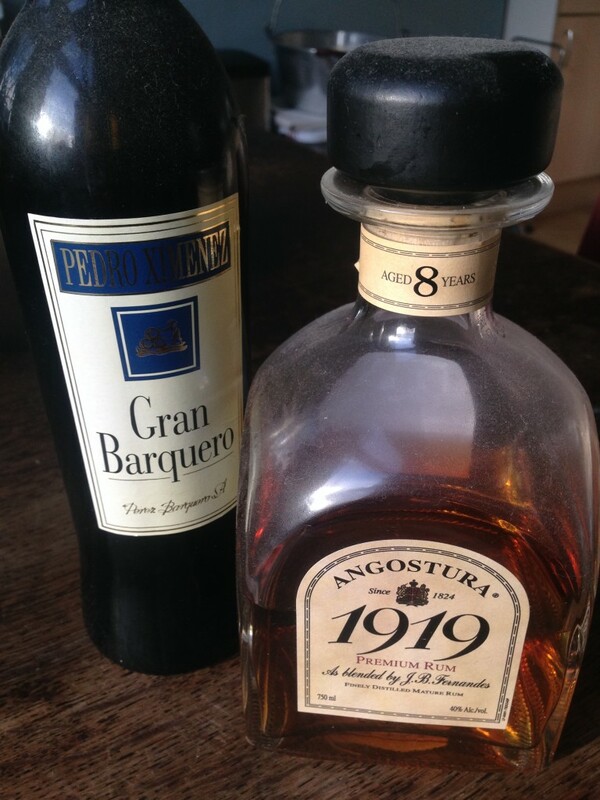 I have seen recipes that substitute milk and cold tea for beer, but I now substitute the dark stuff for something altogether more luscious: deep, dark pedro ximenez sherry and a drop of 1919 Jamaica rum. The dust on the bottles indicates how often I get these beauties out of the cupboard. The fruit is also updated for 2015. 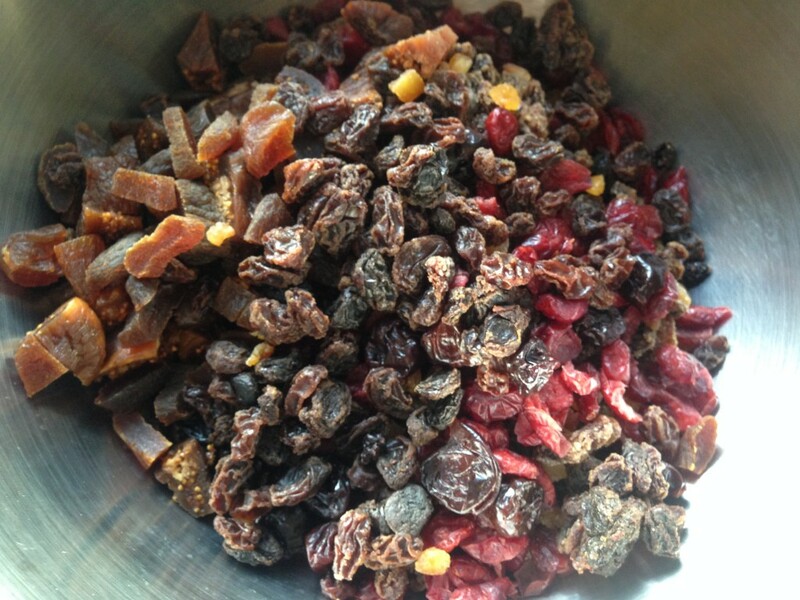 Mary uses candied peel, sultanas, currants and raisins in her recipe, to which I also add dried cranberries, cherries, apricots and figs. In the 1970s these exotic fruits would have cost a small fortune, but now they are an affordable treat. I soak the fruit in the sherry and rum for a day or two so that it plumps up to fatness. 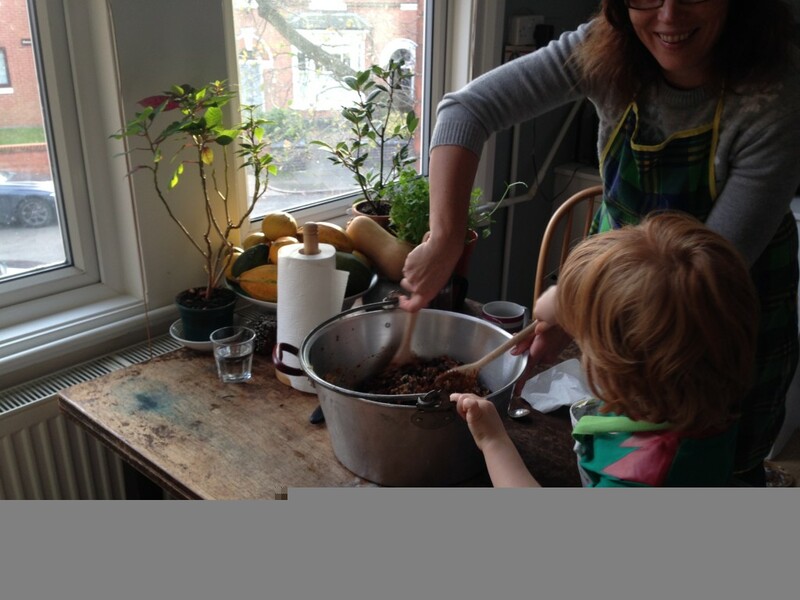 All that’s left to do is stir up the fruit with grated apple, eggs, breadcrumbs, suet, flour, sugar, treacle, spice and citrus…a job that a child can do. Don’t forget to make a wish! Helen and Joe get stuck in on Stir-up Saturday. Yes, Joe is dressed as an elf. Leave the puds to cool before storing in a dark place until Christmas. On Christmas Day they get cooked again until they are dark, moist, fragrant and delicious. I’ll give an update on how they turned out in a month or so. Actually they will last for months – over a year – so you could make a batch now for Christmas 2016 if you are so inclined. Incidentally – every year, without fail, the Christmas Pudding recipe goes missing and my parent’s kitchen gets turned upside down as we try to find it. One infamous year I was even accused of THROWING IT AWAY. By committing it to the internet such defamation can never happen again. Soak the fruit and peel in the soaking liquid for a day or so. In your biggest mixing bowl, simply mix everything together until well blended (don’t forget to make a wish as you do so). Have ready your pudding basins and grease them lightly with oil or butter. Divide the mixture between your bowls and cover with greaseproof and foil (see above for a video showing how to do this). Place an upturned saucer in the bottom of each of your steaming pans, to prevent the basins scorching. Place the basins on the saucer, then fill with boiling water until it reaches half way up the sides of each basin. Place on the heat and steam gently for 4 hours, checking every so often that the water hasn’t boiled dry. Cool and store until Christmas or longer, as you wish. To serve: Steam again for 2 to 3 hours, then invert onto a serving platter. To flame your pud, warm brandy in a ladle over a flame, set alight and pour on the pudding. 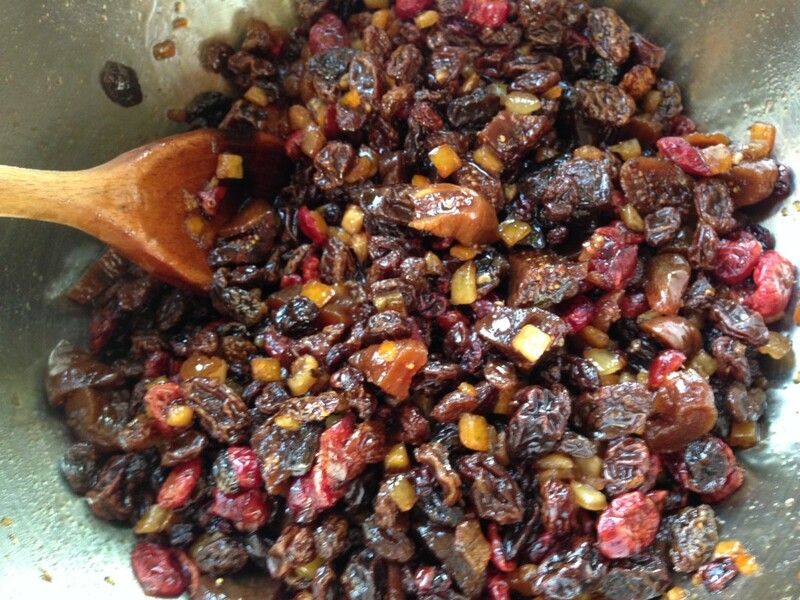 This entry was posted in Recipes, Sweet and tagged christmas pudding, Mary Berry. Bookmark the permalink.